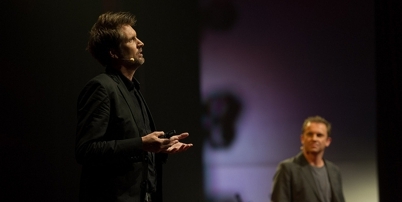 TERROIR Director Gerard Reinmuth talked at TEDx Sydney with UTS colleague Anthony Burke. TEDx Sydney was held on May 26 at thw Carriageworks in Redfern, in a carnival atmosphere featuring a range of activities surrounding the lecture series. Other lecturers for TEDx Sydney 2012 included former Whitlams songwriter Tim Freedman, Nobel Prize-winning astronomer Brian Schmidt, political scientist Geoffrey Garrett and singer Katie Noonan. To view the TEDx talk, click here.